LiteracyPlanet is used by England’s Premier League football club academies to support English teaching in the school release programme for its youth teams. 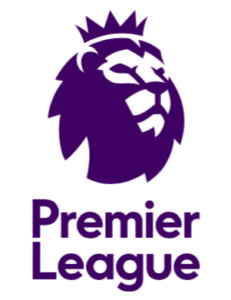 Why did the Premier League choose LiteracyPlanet? Education is a key component of the Premier League’s Elite Player Performance Plan (EPPP), its long term strategy to advance the Premier League Youth Department’s development of home-grown players. The Premier League aims to provide world-class education to its young players via inspirational and innovative teaching. Says Education Manager Julia Caunt: “Premier League clubs keenly use digital resources in their academies to enhance the quality of learning for the players on school release. We aim to make sure that we don’t just undertake eLearning for the sake of it, but that we are providing cutting edge educational technology for our students and we feel that we have that with LiteracyPlanet”. LiteracyPlanet is equally suitable for students from English and non-English speaking backgrounds, can be tailored to any level of ability, and is gamified so appeals to competitive learners. This makes it a particularly useful and effective teaching tool for the Premier League’s education department. “It is an excellent digital resource to meet the requirements of our young players, and support and enhance their learning,” says Ms Caunt. LiteracyPlanet is used by the Premier League academies to support English education for their U9 to U16 players. How it is used depends on the academy and varies according to individual needs. Some academies, such as Middlesbrough, use it as a starter activity for lessons to engage students prior to commencing their individual learning plans. Others, such as Everton, use it for evening education sessions. Others use it for homework for the younger students and as part of lesson plans for older students. Teachers enjoy how easy the programme is to manage and being able to personalise the learning experience. They are able to assign tasks remotely and in seconds, assign different tasks based on a pupil’s ability, and save time because the programme is self-marking. “The flexibility of the programme is great,” says Ms Caunt. The academies’ education teams are particularly impressed with students’ enthusiasm for the programme, and believe this is leading to improved learning outcomes. Says Barry Dawson, Head of Education & Welfare at Middlesbrough Academy, “LiteracyPlanet has opened up a whole new way of learning for our young players. Learning that is fun, competitive and challenging is something all the boys want to engage with. “The element of competition and ‘games’ really grabs the attention of all the boys, and helps them to focus and improves their concentration level. Simon Crockett, Education Officer at West Bromwich Albion Academy finds a similar experience: “As the students are all young football players, they have naturally competitive characters, so the competition element keeps them engaged. The U12s to U14s aim to beat each other, and therefore concentrate more on the task. Adds Ms Caunt: “It’s hard to find education resources that enthuse students. Student engagement with LiteracyPlanet has been very impressive. Student engagement with LiteracyPlanet has been very impressive. It is an excellent digital resource to meet the requirements of our young players, and support and enhance their learning. LiteracyPlanet has opened up a whole new way of learning for our young players. Learning that is fun, competitive and challenging is something all the boys want to engage with. LiteracyPlanet is engaging the students in literacy without them fully realising they are practicing and learning new English skills, as they enjoy the competition element of the software. A highlight for the academies in 2016 was participating in LiteracyPlanet’s annual competition, Word Mania. “The boys loved the competition. They loved competing against other academies and watching the league table to see how the club was faring against the other clubs involved,” says Barry Dawson from Middlesbrough Academy. Adds Adam Roast, Academy Administration and Welfare Officer at AFC Bournemouth: “The boys and parents really embraced the competition and realised how much it had the potential to help them with their literacy skills. I’m really proud of their efforts and impressed with their developing literacy abilities”. 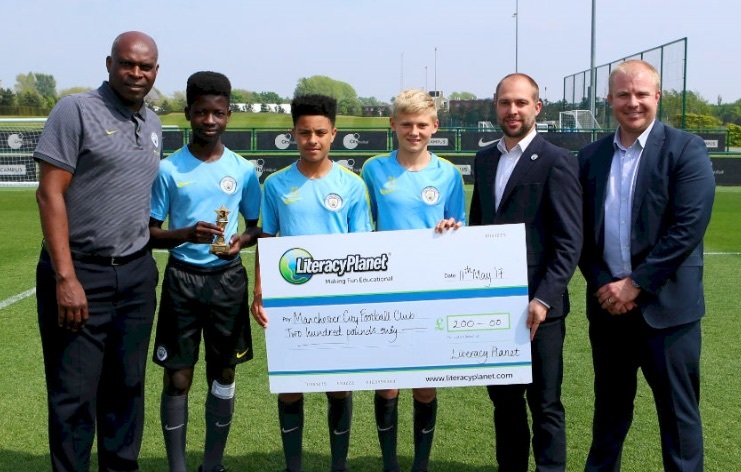 Manchester City Academy proved to be the most successful academy competing in the competition, with students finishing third place. Says the academy’s Head of Education, Mark Adams: “We strive to provide the resources and experiences players need to excel in any environment. Since participating in the competition, we have noticed an improvement in the literacy skills of those students using the platform, especially in the areas of spelling and grammar”.